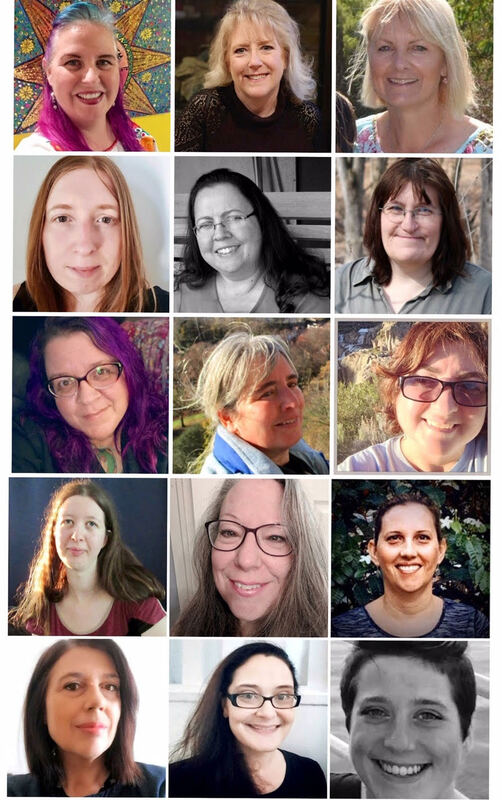 We are still partnering up with Altered Pages!! 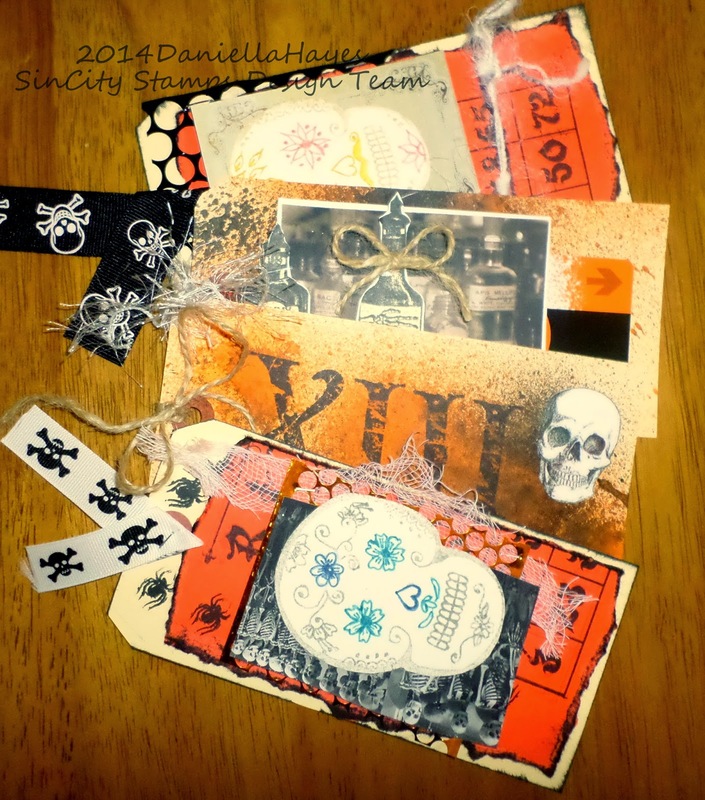 I made 4 tags with SinCity Stamps and Altered Pages products. SinCity Stamps "Day Of The Dead by Michelle Frae Cummings"
SinCity Stamps "Clockworks by Terri Sproul"
First, I get all my supplies together. I always take out too much!! lol! I made my backgrounds first. 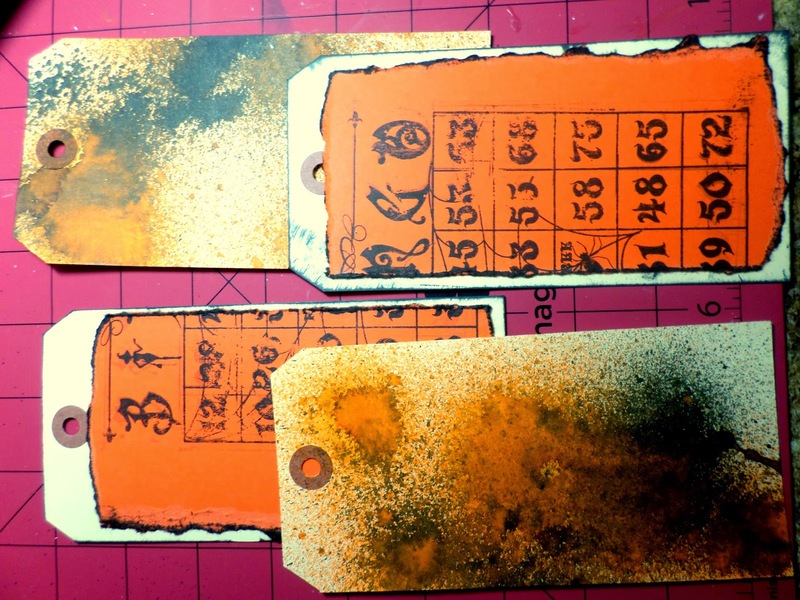 2 tags I sprayed with Dylusions and 2 tags I used "Halloween Bingo" on orange cardstock and adhered it to the tags. I inked the edges of the tags too. Next I stamped my images. For the Sugar Skulls, I used a marker to color the stamp. Then I breathed, or "huffed" on it to get the stamp warm so the ink would transfer to the paper. An old technique but so awesome! It was perfect for the Sugar Skulls!! I also cut out images from my collages. Now the fun part! Putting the tags together! 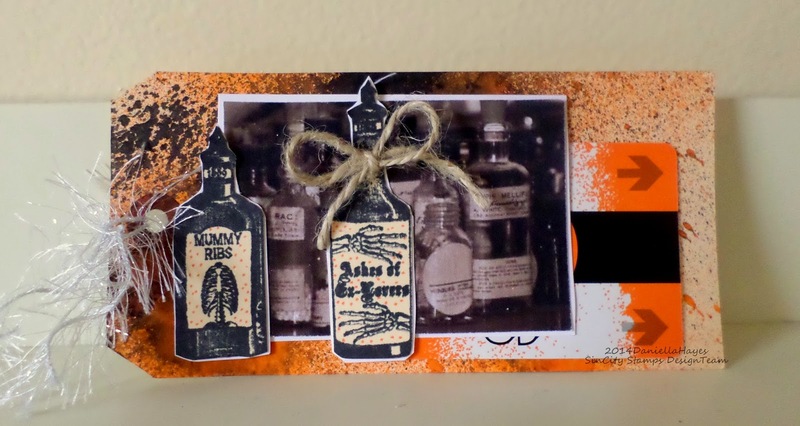 I stamped some spiders on the tag and added the orange cardstock with "Halloween Bingo" stamp. 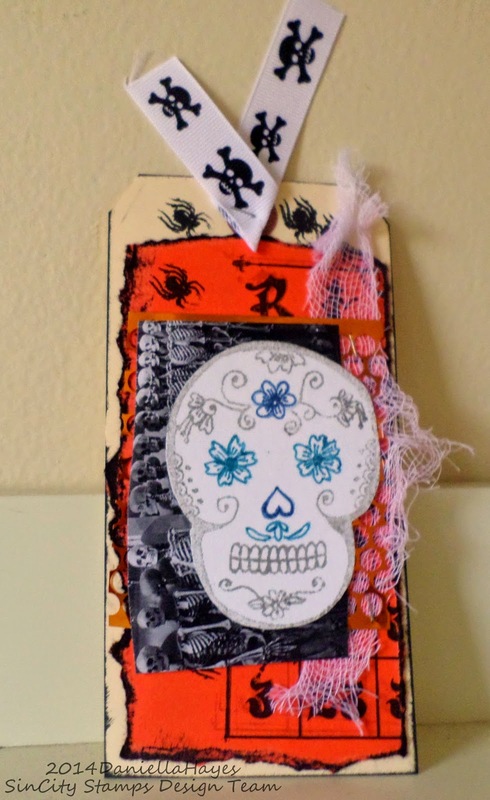 Then I added a gauze, punchinella, a collage image and my sugar skull. I finished it off with some skull ribbon on top. 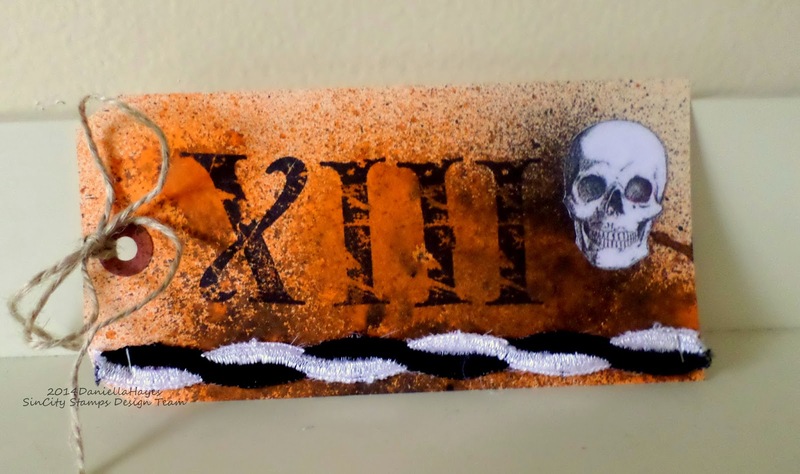 For this tag, I used the Dylusions Spray Ink on the background and stamped the Roman Numerals, to make the number 13. I added the skull from the collage sheet, some trim and rope. Again, I started with Dylusions on the tag. I added a fun orange card and a collage image. I stamped the bottles on a tag and cut them out. I added a rope bow to a bottle and finished with some trim. 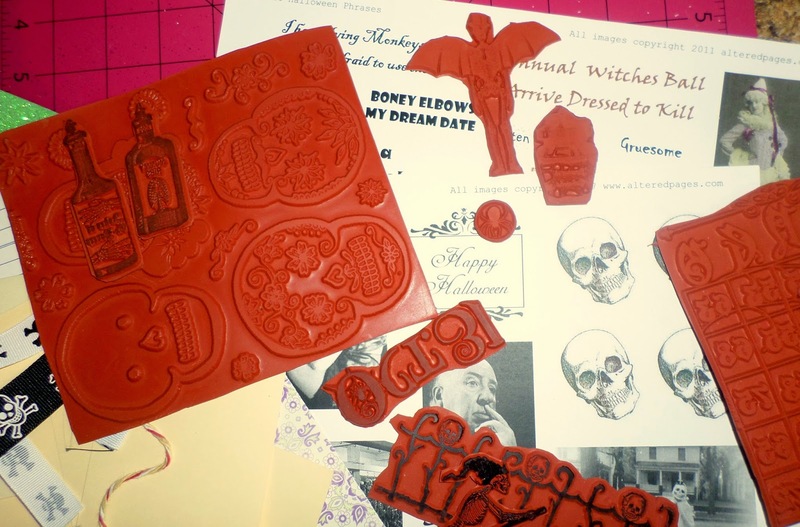 My last tag uses the "Halloween Bingo" on orange cardstock again. 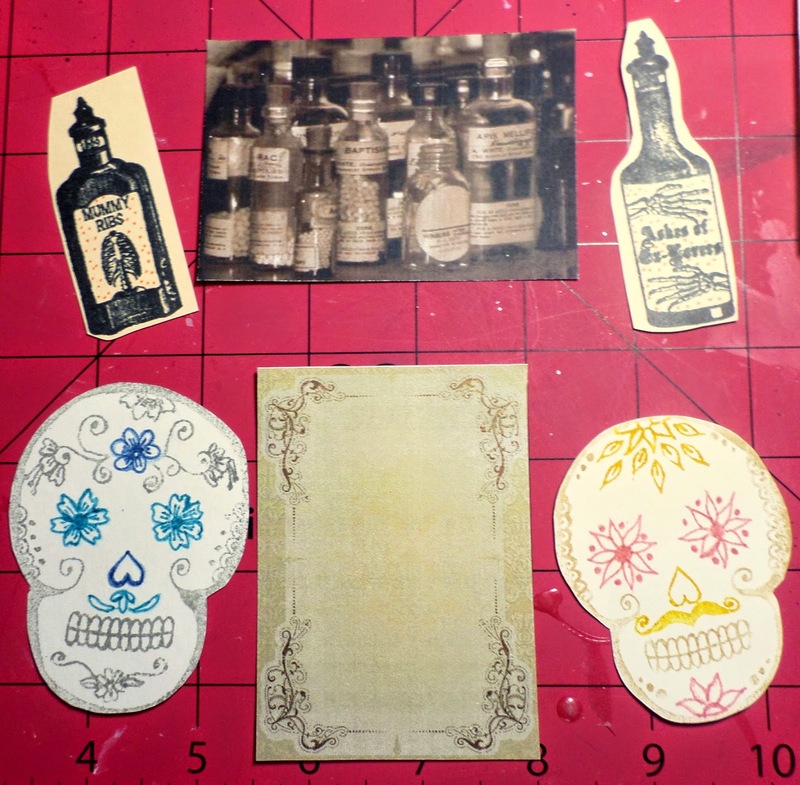 Then I added punchinella, a piece of the collage sheet and a stamped Sugar Skull. I finished with some trim and the skull ribbon. Thanks for visiting today! I hope you click the links and get some AWESOME Halloween stuff for your own projects!! Pretty cool stamps, great tags! Great tags. Love the Dylusions on the backgrounds. The tag with the roman numerals and skull head is my favorite of these!! Fabulous tags, Daniella! I would not be able to choose a favorite because I like them all!